In an ancient papyrus, dating back to 2500 BC, an Egyptian named Imhotep, thought to be the first physician and engineer in early history, offers us a glimpse into what may well have been the earliest recorded case of breast cancer. 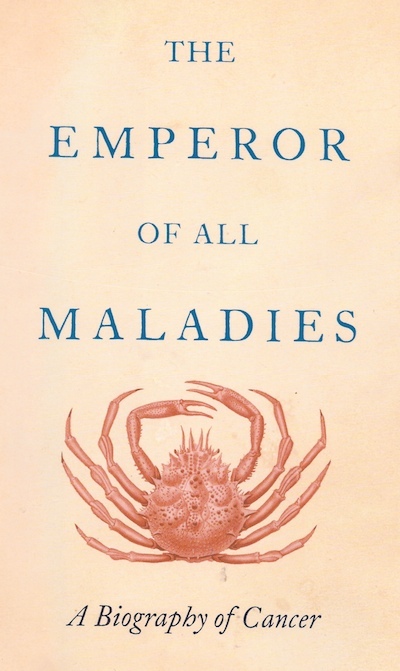 When describing this case, under the section entitled “Treatment,” he suggested, simply: “There is none.” It would be another two thousand years before the disease was given a name by Hippocrates: karkinos, the Greek word for “crab,” since the swollen blood vessels radiating from a breast tumour resembled the limbs of a crab. Writing in 440 BC, the historian Herodotus tells the story of Atossa, the queen of Persia, who was struck by a malevolent form of cancer, a bleeding lump in her breast. In desperation she persuades a slave to take a knife and excise the tumour. Shortly after this operation, Atossa mysteriously disappears and does not feature in the story again. 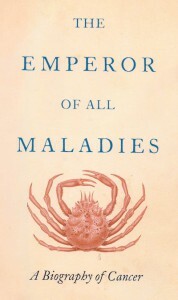 Towards the end of this biography of cancer, the author challenges his reader to a thought experiment: imagine Atossa, the Persian queen, travelling through time, “appearing and reappearing in one age after the next.” By freezing her tumour in its stage of development and behaviour, Mukherjee asks: “How has her treatment changed over two-and-a-half millennia and what has been the impact on her length of survival?” From radical mastectomy to radiation by X-rays, and from adjuvant chemotherapy to hormonal therapy, he speculates that, by the late 20th century, Atossa could reasonably expect to live for another 20 years. While the “war” on breast cancer has yet to be “won,” the future is full of possibility. Ultimately, this is a story of hope.